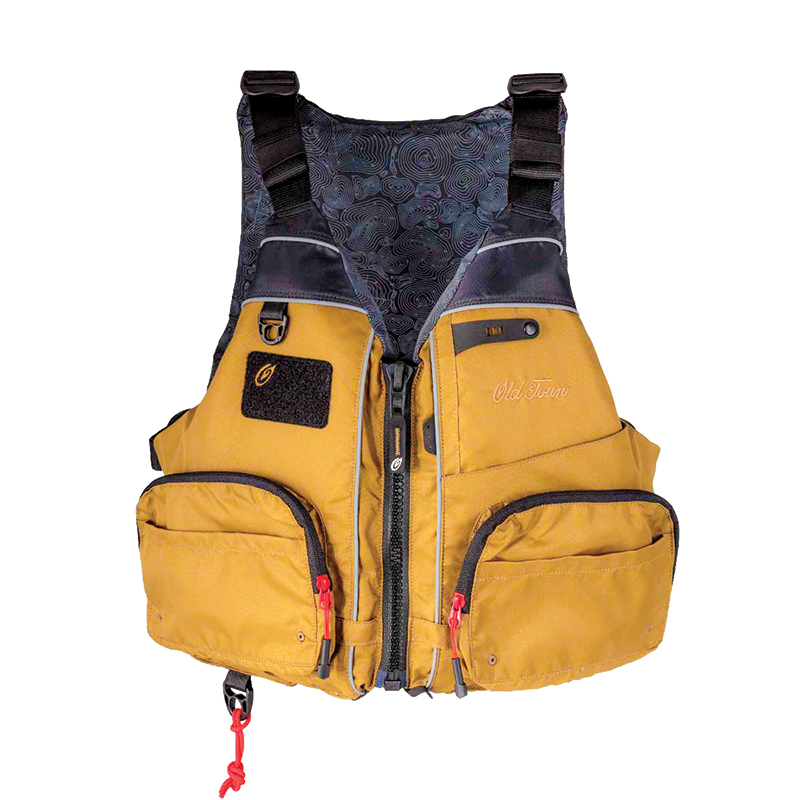 Safety is first when it comes to kayak fishing, so a versatile life jacket with a thin back is important for comfort with various kayak seats. Treble Angler from Old Town Canoe combines durable, lightweight construction with fully adjustable shoulder straps and side straps. It includes an envelope pocket, a Hypalon tab and D-ring attachment points, two slip pockets for fast access storage, two zippered pockets for secure tackle storage and a front zipper. U.S. Coast Guard-approved, the Treble Angler is a one-size-fits-most solution.